The Filipino American population in the U.S. is expected to reach more than two million by the next century. 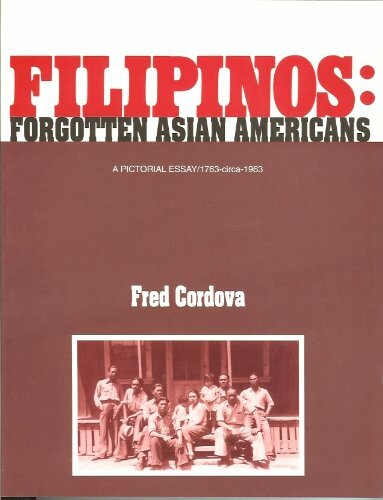 Yet many Filipino Americans contend that years of formal and covert exclusion from mainstream political, social, and economic institutuions of the basis of their race have perpetuated racist stereotypes about them, ignored their colonial and immigration history, and prevented them from becoming fully recognized citizens of the nation. Locating Filipino Americans shows how Filipino Americans counter exclusion by actively engaging in alternative practices of community building. Locating Filipino Americans by Rick Bonus is by definition an ethnographic study. Having said that, ethnographic studies carry with them the benefits and risks of undertaking such a project. As most ethnographic studies of this nature are concerned one is able to push forward an agenda without really stating one's agenda up front. In this case, however, bonus is clear that his agenda is plainly descriptive. He deftly moves to describe the Filipino American communities in both Los Angeles and San Diego. Bonus is also clear that he is working within a multi-disciplinary framework and he is examining the connection between identity and space. Locating Filipino Americans is unique in that Bonus is grounded in a theoretical framework that allows us to get a better understanding of the state of affairs. As much as labels allude to a sense of clear-cut definitions, Filipino Americans are the second largest Asian-American group in America just behind the Chinese. 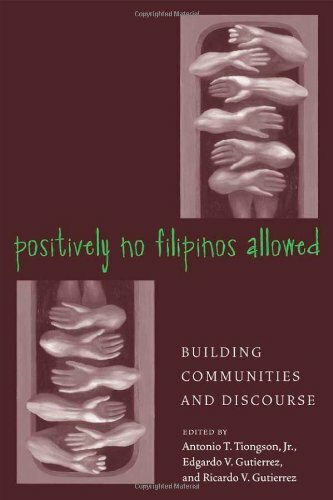 The Filipino-American community should be grateful and use this book in an effort to get a better understanding and potential that is clearly self-evident. Bonus has done an important piece that is as informative and thought provoking as it is inspiring. Bonus posits that particular spaces allow Filipino Americans to react to, oppose the ways in which the dominant discourse has throughout history, and via hegemonic institutions have removed this group of agency, hence voice. Bonus zeroes in on three particular "spaces. ":  "Oriental" stores,  the community centers (where the pinoys practice "palengke" politics), and  through the media via the local newspapers. Identifying the spaces and articulating our mechanisms of resistance, Bonus does us a big favor. First, he allows us to see what we are doing. In this sense, he makes us more self-reflective. Second, through this articulation we can now be self-reflective of how we use these mechanisms of resistance to our advantage. Self-reflexivity then allows us to move forward more aware of our actions and move towards some form of positive change. Bonus is also good at showing us how we "invent" ourselves (although the fetish for liminality does not really allow us to pin stuff down in any definite way) and through a reverse sense of "Orientalism" (see his references to Edward Said) in that we tend to appropriate what is needed and exclude what is not useful in an effort to cope with the situation at hand. On the other hand, it seems like Bonus is flirting with the idea that migration becomes a homogenizing experience - which the next generation is losing touch with their roots and becoming more "american" or what they perceive "american" to be. Not that that is necessarily a bad thing but that it is part of an ever-changing landscape of self-identity. Bonus alludes to several key things that he does not really follow through. What is missing is the complexity within the community itself. Bonus begins to write about the 150+ sub-groupings under COPAO in San Diego and another 200+ sub-groupings in San Diego. He alludes to a historical development in terms of migration (with a link to colonialism) and intra-ethnic division and loyalty that undermines social as well as political unity. Consider this work then a seed to even further complexity and exploration. 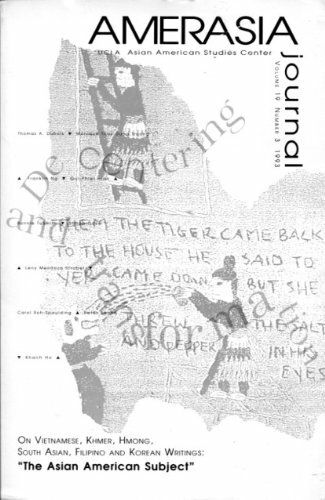 This review was published in the fall 2001 issue of _The Pacific Reader:An Asian Pacific North American Review of Books_. Why do I feel such a deep sense of comfort when I am rummaging through dried fish, canned sardines and Spam at one of the many corner groceries along Jackson Street and Beacon Hill?What social function could "Filipino Time" (i.e., being perpetually late for meetings) serve for Filipino Americans?Or why is it that many times community meetings proceed like chaotic and politically-heated yelling matches? Perhaps one of the more auspicious experiences of a reader is the time when something, whether a written or visual work, empowers one to see the everyday world freshly and with new eyes.Moreover, for someone like myself, who was a student of Asian American Studies, it is additionally gratifying to witness a new generation of Filipino American scholars making significant contributions to academia in such an original manner.Rick Bonus is currently an assistant professor of American Ethnic Studies at the University of Washington, and he obtained his Ph.D. in Communications at the University of California, San Diego.His first book, Locating Filipino Americans:Ethnicity & the Cultural Politics of Space, is a highly accessible ethnographic study that analyzes the seemingly mundane worlds of Filipino "Oriental" stores and strip malls, community newspapers and beauty pageants in Southern California, and uncovers a powerfully rich and complex network of community building and resistance to racialization by Filipino American women and men. Central to Bonus' argument is that although Filipino Americans are the second largest Asian American group in the nation, and the largest in California, there is a common complaint that they are mostly invisible from mainstream history, scholarship, media and positions of power.This systematic form of exclusion on the basis of race and ethnicity has encouraged Filipino Americans "to respond to and resist invisibility, exploitation, silencing, and racial constructing, by history and by institutions, as well as a desire to claim a `space' within the rubric `American' on their own terms." 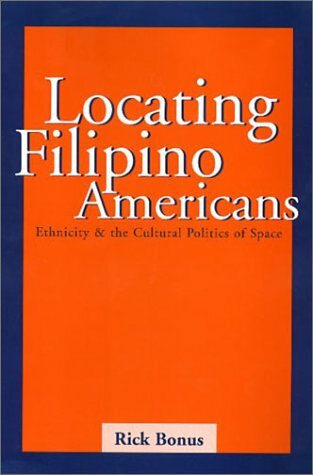 His analysis of these "spaces" in stores, community centers, newspapers and pageants shows Filipino Americans attempting to construct an identity that is both Filipino and American while interrogating it at the same time.This dynamic of resistance and interrogation is something that has historical roots in the Philippines' colonial history and a people's cultural attempts to flourish and define themselves despite oppression, categorization, and tremendous regional diversity.Bonus argues that these particular cultural practices directly challenge these forms of exclusion and invisibility while also reflecting an effort to claim a self-determined space in America. 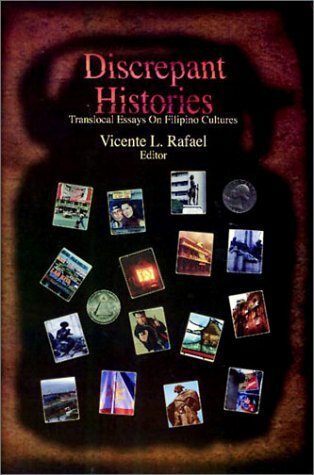 In his study of these commercial establishments, Bonus combines oral interviews, multi-disciplinary theories, history and ethnographic fieldwork and provides sophisticated and thorough analyses of his findings.What is refreshing is not only the telling Taglish (i.e., a combination of Tagalog and English) responses by interviewees to his questions, but his scholarly commitment to the interviewees of the study.One can see that he understands the art of the interview because he is successful in having their rich voices and concerns speak for themselves.He preserves the excruciating details of the interviews so well that I can imagine them taking place before me - facial expressions, hand gestures and all. Furthermore, I appreciated his conscious admission of his own location as an ethnographer in relation to the interviewees, and how his facility in Tagalog, his education and generational status opened certain doors to him that perhaps would not be open for other ethnographers.Bonus' scholarly eye roamed in these spaces being very much aware of his position as both a critical observer and a Filipino American, absorbing the meaningful details in his encounters with great openness, depth and reflection.Throughout the book, there are numerous instances where he lyrically describes the bustling in a community center before a big pageant, the cramped quarters of a small newspaper's offices and a reporter's passion to cover a story, or the noise and pungent smells of the market.Such descriptions capture a particular cultural spirit, setting the foreground for the poetic and political voices of the community members and their own views of what these spaces mean to them as individuals and as a collective. Bonus' first book is an important contribution to interdisciplinary studies on the politics of race and space, and how identity is constructed and communities are enlivened on a daily basis.I don't think I will approach an Oriental store or participate in a meeting in the same manner anymore because this book has provided a sophisticated articulation of what such individual activities mean on a local, national and international scale.Now that this promising scholar is currently teaching at the University of Washington, I am very eager to see his research relate to Filipino Americans in the Pacific Northwest. Tells the story, of families being uprooted from the Philippines to a new life in the USA. This wasn't always of their choosing or likes.The book is enjoyable to read and is especially recommended to those who have went through this process. Filipino Americans have often fought to have their stories heard. The histories of their ancestors have been written from the perspectives of everyone but actual Filipino Americans. 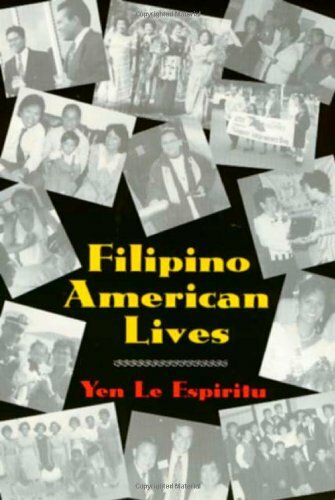 The book Filipino American Lives, by Yen Le Espiritu is just a stepping-stone toward developing the true history of Filipino Americans. 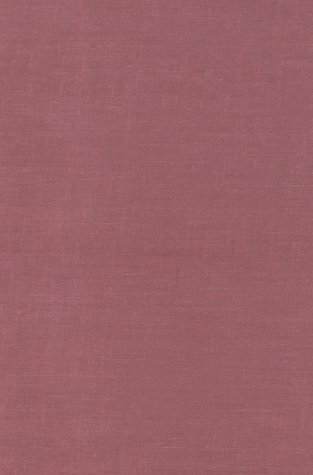 The book tries to give an overview of Filipino American life, as the title reveals. The introduction is a brief outline of the main events that occurred throughout Filipino American history. Yen Le Espiritu is a well renowned author and professor. She teaches at the University of California, San Diego in the Department of Ethnic Studies. Her encounters with Filipino Americans and their hunger for information about their identities prompted her to begin a study on Filipino Americans. Espiritu's first intention was to understand the multiple facets of Filipino American identities, paying particular attention to regional, generational, gender, and class differences. She planned to use the life-history method as the main tool of research, tracing the connections between the life experiences of Filipino Americans and their changing sense of identities. It was during her interviews when she took a different approach toward writing this book. Espiritu realized the importance of presenting some of these accounts in full- not only because they are rich and compelling, but also because the narrators desire to see their life stories in print. And that is what this book as developed into. It is a book that brings to life the stories of many Filipino Americans from a span of three generations. Topics include family and immigration history, ethnic identity and practice, and community development among San Diego's Filipinos. These are the stories of those interviews. This is the history that is yet to be exposed to all of America. After reading some of the few books about Filipino Americans, I believe this book is a great book to have as a class textbook, as a leisure reading book, or even as a bedtime story to read to the children; our future Filipinos of America. It is very accurate, as accurate as first hand stories go. You cannot get any more accurate then this book shows. The best way to present, teach a history subject is by showing the first hand stories. These stories are what make history books into books of facts. What history books need to model is Espiritu's book because this book gives details that no one else could give unless they were right there at the same event at the same time. I feel this book could catch anyone's attention. It is the stories of these Filipino Americans that will stick in my mind. How can someone learn history and remember history by just reading the facts? Filipino American Lives gives narrative after narrative of different stories, similar stories. And these are the stories that will help me to remember what happened during the days of racism and anti-miscegenation laws, of Navy years and 2nd generation history. I recommend this book, and I hope that many people in the future pick up this book to read even if it is not for a class. These are one of the only Filipino American books that have been co-written by actual Filipino Americans. This is what history is all about, finding out the facts from the actual people who experience it. 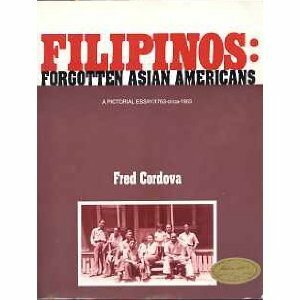 By reading this book, we are fighting the long battle that many Filipino Americans have. For once, our stories will be told and written. For once, the writer will not be a person with any relation to this ethnic group. The battle is not over yet, but Filipino American Lives is a great stepping-stone toward our goals for us and for our future generations. Why aren't Filipinos politically powerful in the US? Several streams of thought are reflected within the oral histories compiled by Espiritu. None is more apparent than the lack of Filipino voices within the political establishment. 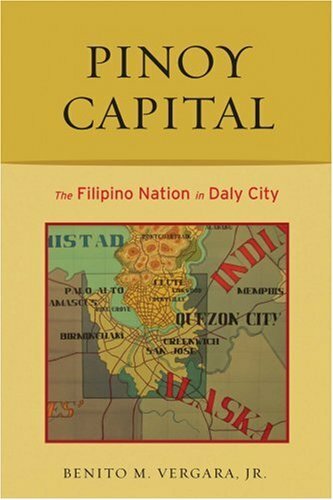 If you have ever wondered why the Filipino community is, paradoxically, a putatively cohesive ethnicgroup (with shared pasts and struggles in America) yet divided (alongclass/profession lines or along regional/province rifts), then this book isfor you. The variety of stories presented- ranging from those who livedduring the Spanish and American colonial periods to the American-born-present an overall picture of why Filipinos today are not politicallypowerful. The megalomania of community leaders, as expressed by some of theinterviewees, who seek to further their personal interest rather than ofthe community as a whole speak much for the impotence of the Filipino voicein the realm of policy. Is it no wonder, then, that our grandfathers arestill fighting for the rights due them for their World War II service? Isit not surprising that the younger generations are encouraged to adoptassmiliationist attitudes in this country? In essence, the youngerFilipinos are taught not to appreciate their own heritage (this is apparentin the demeanor of at least two interviewees). This book really does makeyou think. Whether you see the histories as representing what I feel oughtto be addressed or whether you see them as an affirmation of shared pasts,Espiritu chose her subjects well. They were open and didn't leave much tochance with their responses. 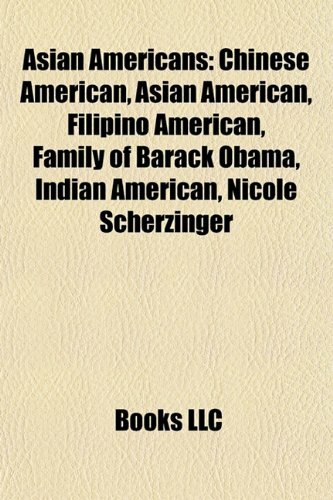 This book is a compilation of interviews with 13 Filipino Americans, and it is a perfect example of the whole being greater than the sum of its parts.The individuals interviewed have a very wide diversity in age,education, economic status, and experience, and their individual storiesare each very interesting in their own right.As you get further alonginto the book, however, you are struck by how similar many of theirpersonal thoughts and experiences are despite their diverse backgrounds. The most interesting similarity is the experience of all of them instruggling to define their own identity:"Am I Filipino? American?Filipino/American?What do those terms mean? How do I fit in? 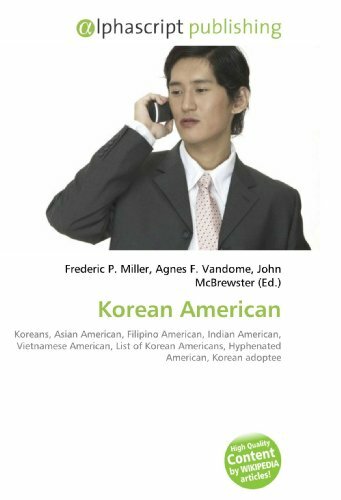 "Amongthe younger interviewees this takes on the added dimension of"FOB" (Fresh Off the Boat) vs. "AB" (American-Born)Filipino Americans. There are also similarities in the thoughts of many ofthe interviewees on what they want and expect for their children in termsof Filipino and American values, traditions, and identity. The author (aProfessor of Asian-American Studies at UCSD) is, in my estimation, a veryadept interviewer as he is able to spur very thoughtful, introspectivecommentaries from the interviewees.This book does not make anygeneralizations or force any conclusions about the Filipino Americanexperience on you.Instead, it lets these interviews stand on their ownand compels you to draw you own insights. This is a great introductory book for anyone wanting to learn more about Filipino American history and culture. Colonialism and empire have rarely been seen from the perspectives and experiences of the colonized. 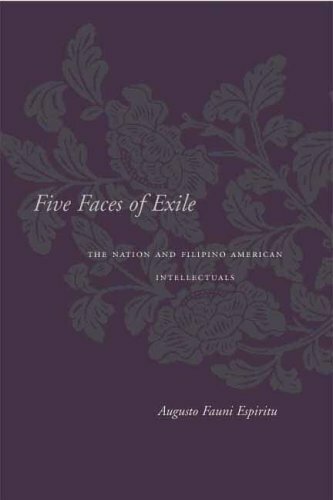 "Five Faces of Exile" addresses this gap by exploring a wide range of perspectives on colonial, anti-colonial and postcolonial developments.More specifically, it explores American empire in the Philippines and its ethnic and racial dimensions in the United States through a close reading of the texts and social practices of five pioneering, trans-Pacific Filipino American writers of the colonial era: the diplomat Carlos P. Romulo, the poet Jose Garcia Villa, fiction writers N. V. M. Gonzalez and Bienvenido N. Santos, and the celebrated Asian American worker-writer Carlos Bulosan. 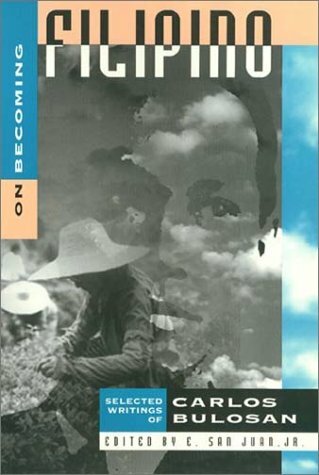 This collection brings together essays on the Philippineswritten in the wake of the Cold War and the Marcosregime. Cross-disciplinary by vocation and affiliated by their commonengagement with the intersections of power, representation, andagency, the contributors probe the discrepant histories that underliethe formation of the Philippine nation-state and translocal Filipinocultures: the mestizo social hierarchy, colonial medicine, penalcolonies, nationalist desire, diasporic literatures, gay beautypageants, ideas of everyday violence, and state bulimia in the age ofglobal capitalism. This reading should be considered one of Filipino-America's (and Asian America's) best literary works as of yet.There is no other writer prior to the cliche' "Amy Tan-esque" era that has made a lasting impact on American literature.The novel is (r)evolutionary in its attempt to educate generations of literature afficionados.What better way to pay tribute to equal rights activists than Bulosan's magnum opus?Bulosan is the next Walt Whitman and then some, beginning with his incipient stages in rural Pangasinan province, to his voyage to America and initiation into manhood and the adventures in between. He is Walt Whitman's echo, fervent, passionate, honest - speaking for all humankind, and fighting for the rights of 1930s struggling working class of Filipinos, Mexicans, Native Americans, African-Americans, and Asians. This digital document is an article from Social Work, published by National Association of Social Workers on January 1, 2004. The length of the article is 8022 words. The page length shown above is based on a typical 300-word page. The article is delivered in HTML format and is available in your Amazon.com Digital Locker immediately after purchase. You can view it with any web browser. Title: Assumptions of Asian American similarity: the case of Filipino and Chinese American students. Home to 33,000 Filipino American residents, Daly City, California, located just outside of San Francisco, has been dubbed “the Pinoy Capital of the United States.” In this fascinating ethnographic study of the lives of Daly City residents, Benito Vergara shows how Daly City has become a magnet for the growing Filipino American community. Vergara challenges rooted notions of colonialism here, addressing the immigrants’ identities, connections and loyalties. Using the lens of transnationalism, he looks at the “double lives” of both recent and established Filipino Americans. Vergara explores how first-generation Pinoys experience homesickness precisely because Daly City is filled with reminders of their homeland’s culture, like newspapers, shops and festivals. Vergara probes into the complicated, ambivalent feelings these immigrants have—toward the Philippines and the United States—and the conflicting obligations they have presented by belonging to a thriving community and yet possessing nostalgia for the homeland and people they left behind.